Blog - Royal Canadian Health Care Services Inc. It takes a special kind of person to be a professional caregiver. It’s certainly not an easy profession, but it can be incredibly rewarding for those who love to do it. If you’re looking for a caregiver for someone you love, you’ll want to make sure you choose someone who can slot into your family life as well as providing the highest level of aid. In this post, we’ll tell you the five main attributes that Toronto caregivers for the elderly should have. Patience – A good caregiver must be patient and flexible. While patients will have a routine, it won’t always go to plan. At times, a patient may be hesitant to cooperate or downright stubborn. When difficult situations like these occur, a caregiver must be able to smile through it, dealing with it in a sensitive and positive way. Empathy – A caregiver needs the empathy and compassion to allow them to understand how their patient is feeling. An empathetic person not only lends a listening ear in times of need, but put themselves in their patient’s shoes and shares their emotional burdens. This enables them to build a personal connection with the person they’re caring for. Dependability – This is one of the most important things for caregivers for the elderly in Toronto to have. You need to know that they can be relied upon to be there when you need them. Putting your loved one in the care of a stranger can be a daunting experience, and you need to be able to trust that person. Patients can be vulnerable, and their caregivers must be able to keep information about them and their family confidential. Attentiveness – People employ caregivers for the elderly because they require constant attention. Often, this involves round-the-clock care. It’s imperative that a caregiver is able to respond to their needs quickly. There are times when patients aren’t able to truly communicate their feelings or needs, and an attentive person will have the intuition to know. If they’re not attentive enough, the quality of care won’t be sufficient. Passion – To care for an elderly patient, a professional needs to be passionate about their jobs. A genuine love for the profession is mandatory, and that will be evident in how they treat their patients. At Royal Canadian Health Services, our staff are licensed, experienced, and ready to provide 24/7 care. As well as qualifications, training and knowledge of practice standards, they also possess the right personal attributes for the job. The ones listed above are just some of what we require. We go above and beyond to make sure our patients are matched with them, so that they receive the right care. RCHCS makes sure each patient is given a level of personal supports that suits them. This starts with an assessment of their healthcare needs. Contact us for an assessment today. As senior citizens age, daily tasks can become more physically and mentally challenging. When you’re caring for them, it can be tempting to start doing these tasks for them in order to lift the burden off them and make their life easier. While this is more efficient, it’s not the best method for the person you’re caring for. Instead, it’s better to have an interactive care program, in which you do things with them rather than for them. Read on to find out how Toronto homemakers do this, and why it’s so important. Here are four reasons to consider hiring a homemaker. 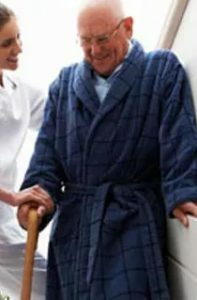 Dignity – Whether an elderly patient is being cared for at home, in an assisted living facility or in a nursing home, it’s essential that their dignity is maintained. Allowing them to retain their independence by having certain responsibilities and routines gives them a sense of pride, and it can feel like achievement to be able to carry out even the smallest of tasks. This also makes them less dependent on other people and reduces the amount of supervision they require, which is great for everyone. Mental Health – When someone loses their independence, it can be detrimental to their mental health. It may leave them feeling unhappy or even depressed. When patients are unable to care for themselves, they cognitive abilities can also begin to deteriorate. In particularly bad cases, they may experience suicidal thoughts. Homemakers aim to prevent these issues. Supporting and Enabling – Toronto Homemakers enable elderly people with mobility issues to keep their house clean and tidy. This doesn’t mean that they do everything for them. They provide support in the activities that their clients are still able to do, and ensure that they keep doing them. These activities can include cooking, shopping, light housework, making phone calls, or writing emails. Their homemaker will also encourage them to try other activities when they can. This can sometimes be a source of anxiety for someone with limited capabilities, and homemakers provide the encouragement and support they need. They also make sure every task is carried out in a safe way, with supervision as needed. Bonding – Promoting and nurturing independence can strengthen a bond between an elderly person and the person caring for them. This type of interactive care program allows seniors to be an active part in their own routines. The sense of purpose, responsibility and achievement that comes with this can make all the difference to a patient’s health, happiness, and well-being. If you or someone you know is struggling with keeping their home clean and tidy due to mobility issues, we can help. We’ll arrange for an in-home assessment to determine what needs you have, then create a customized housekeeping plan just for you. Whether you need someone to clean to house from top to bottom, or just help out here and there, we are here to provide professional assistance. When senior citizens are no longer able to support themselves or live on their own, it’s time to start considering your options for professional assistance. Your first thought might be to check out some local residential homes, but that isn’t always necessary. Instead, consider hiring a live-in caregiver. This kind of care allows a patient to have a custom, round-the-clock care routine in their own home. It’s also much more comfortable, and doesn’t require the extreme changes that come with moving to a new home. Read on to find out more about live-in care and why it’s a great way to meet half-way in terms of senior care. The Comfort of Home – When you hire a live-in caregiver, your loved one is able to receive care in a familiar environment. The idea of moving into a residential home can be scary, and is not something that’s suited to all seniors. With a live-in caregiver in Toronto, they can live in their preferred place, on their terms. They have more control over what they do and when, instead of being tied to the routine of a nursing home. This also provides the benefit of privacy and a space of their own. Cost – Nursing homes can be extremely costly, and patients often need to sell their homes in order to par for care. With Toronto live-in caregivers, this isn’t the case. They provide a care program that’s more affordable, putting less strain on the patient and their family. Funding and welfare may also be available to support this type of care. One-on-One Care – Residential and nursing homes provide round-the-clock care, and are good options for those who require lots of assistance. However, in these facilities, one team of caregivers is responsible for a large number of patients. When you have a live-in caregiver, that’s not the case. Instead, you have one dedicated professional who is just for you. Emotional Well-Being – Providing care in a patient’s own home is the most convenient option for them. There is no need to move somewhere new and adapt to a new routine, which can be a stressful experience. The major life change of moving into a nursing home is distressing and traumatic for some patients, and by bypassing this option, you maintain their happiness and emotional well-being. Pets – Pets are great companions for elderly people, enriching their lives and allowing them to form strong bonds and attachments. If someone is moved to a care home, they won’t be able to take their pets with them, and this can be devastating. With live-in care, pets don’t need to be given up, and elderly people can continue to enjoy the company of their animals. At Royal Canadian Health Care Services, we understand the importance of matching a patient with the right caregiver for them. That’s why we set up meeting to allow you to get to know our staff before you make any commitments. Contact us to find out more about our staff and services. Whether you are seeking a caregiver to help you on an occasional basis or you need somebody to provide you with help and support every day, there are several very important questions that you need to ask the candidates you interview. In this short article, we discuss 4 questions that we feel should be at the top of your list, no matter what your personal circumstances or specific care requirements. Do You Have any Formal Qualifications or Training? – As far as qualifications are concerned, you should be looking primarily for those that are directly related to care giving but you may also wish to give preference to candidates who have medical qualifications and training that would make it easier for them to provide assistance to you in the event of an emergency. Experienced caregivers with no formal qualifications or training may be very good at their jobs but in order to avoid those with no relevant skills you may wish to rule out such carers just in case. Do You Genuinely Like Your Job? – This is a question to which all candidates are likely to respond in the positive so you may be wondering why we have included it in our list. In our extensive experience it is very easy to gauge when somebody is giving you a genuine answer and when they are just saying what you want to hear, which is why we always recommend asking this question. There are many caregivers in Toronto who truly love their work: you need to focus on this group when you are looking for the perfect candidate. Are You Happy to Work the Hours That I Need You? – The important point to bear in mind as far as this question is concerned is that you are not asking them whether they are capable of working the hours you need but whether they are happy to do so. The best caregiver in the city is unlikely to be a good choice if the hours that you want them to work will conflict with their home life or other personal responsibilities. Focus your search on professional caregivers in Toronto who are willing and able to fit in with your requirements. Can You Provide References? – The best way to confirm whether a particular caregiver is genuinely good at their job is by finding out what their previous employers thought of them. If possible, try to find candidates who are happy for you to contact previous employers directly rather than relying on written references that they have already obtained. If you want to save time and focus on caregivers in Toronto who can answer yes to all of the above questions, and many more that you may have in mind, call and speak to a member of our team today. 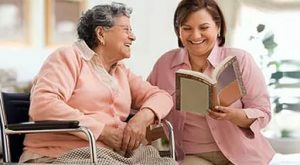 In order to take advantage of the services of a personal care provider you will undoubtedly have to make some changes to the way that you live your life but these changes could all be positive ones if you ensure that the carers you are provided with are qualified and experienced professionals. To give you a better idea of just how a reputable personal care provider (such as ourselves) could change your life for the better, we have listed some of the key benefits that you can expect to enjoy below. Physical Health – When you find yourself having to cope with infirmity or disabilities in later life, it can be much more difficult to look after yourself properly. It can, for example, be very hard to prepare nutritious meals on a day-to-day basis: firstly, because cooking can become an almost unbearable chore and, secondly, because you may find it impossible to get to the local shops to buy the ingredients that you need. A personal care service in Toronto that covers shopping and food preparation would obviously make a huge difference to your quality of life by helping you to remain as healthy as possible. Household Hygiene – Another area of life that can present difficulties to senior citizens who are less mobile than they used to be is that of household hygiene. A daily carer who can also perform light cleaning duties will be able to ensure that your home remains a pleasant place in which to live. Relaxation for Relatives – It may not be immediately apparent when your nearest and dearest start to lend you a helping hand but eventually the extra workload they have to take on may affect their mental and physical health. By using a personal care service in Toronto you can avoid overburdening your relatives and ensure that they are able to relax and recuperate in between visits. Self –Confidence – It might sound like a strange thing to say but by relying on somebody else for daily help you can actually boost your own self-confidence. If you think this is simply not possible, try a personal care service in Toronto for a few weeks and see how much better you feel about yourself when your home is neat and tidy, you are eating nutritious meals every day and you are always washed and well dressed. You will almost certainly feel much better about life in general and be more open to the idea of friends and relatives coming to see you whenever they happen to be passing. 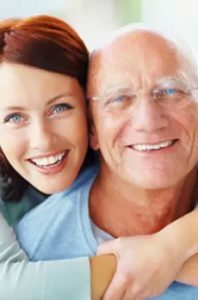 If you think that you might benefit from having a personal care provider or you would simply like to find out more about available services in Toronto and the surrounding area, please feel free to call and speak to us whenever convenient.